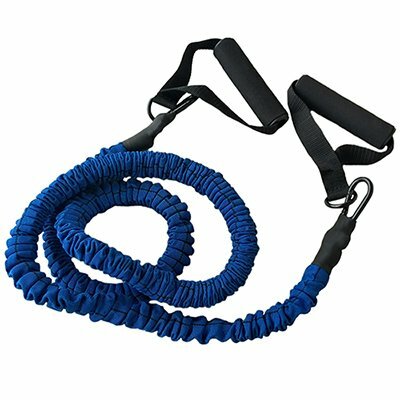 The Valor Fitness ED-16 Safety Sleeve Resistance Tube perfect for training on the go! Light and mobile, this resistance band can literally go anywhere! Ideal for training at home, light gym setting or even at your desk while you work! Train at home, at the gym or at your desk. Handle Dimensions: L 6.75" x W 4.75". Band Dimensions: L 55" x W 1.25". 1-year manufacturer's warranty. Model: ED-16. Made in China.